This book combines theological reflection on key issues in chaplaincy with a collection of stories from those engaged in chaplaincy in a wide variety of contexts. The essays cover issues, skills and tensions - discussing what chaplaincy is and how to do it. Being a Chaplain by Miranda Threlfall-Holmes was published by Spck in June 2011 and is our 21095th best seller. 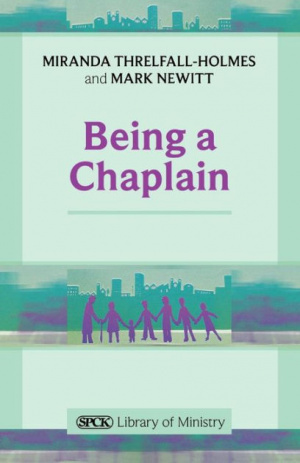 The ISBN for Being a Chaplain is 9780281063857. 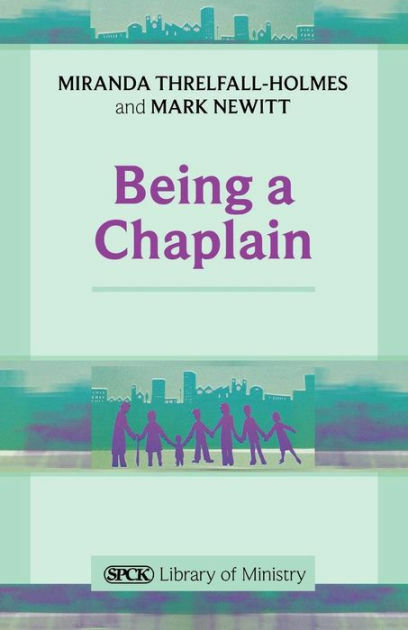 Chaplaincy is a growing area of ministry within the Church and this book provides ample resource material for anyone considering a chaplaincy role, whether ordained or lay. The majority of the book consists of stories from chaplains working in a diverse range of settings primarily from the Armed Forces, Education, Health Care and the Prison Service. Other settings are included however, specifically Luton airport, Manchester United FC and a Community Arts project in the North East of England. The final section of the book offers some theological reflections on the nature of chaplaincy as a whole, which is a genuine challenge in the light of the diversity represented in the preceding accounts. 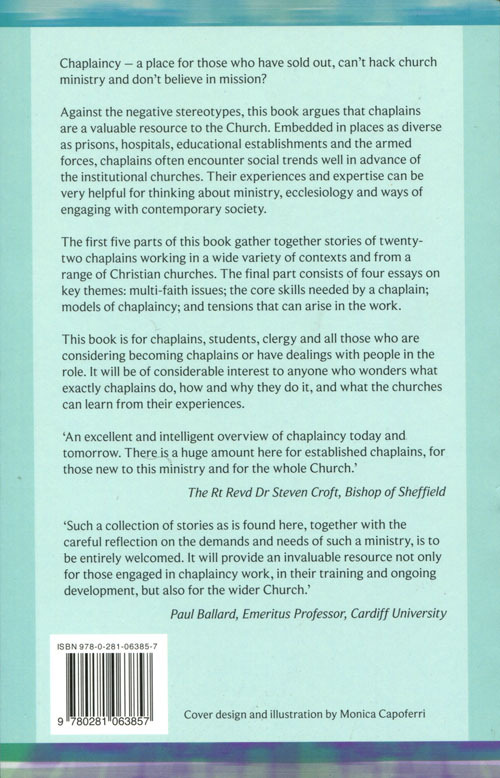 What is clear throughout the book is that chaplaincy is a vibrant and deeply rewarding ministry, served by some very dedicated chaplains often working in conditions that are profoundly challenging to people of faith. So this is a hopeful and encouraging book, and surely must be required reading for every candidate for ministry. Let’s hope it can also help the church to acknowledge the work of chaplains with more enthusiasm than sometimes appears the case. Got a question? No problem! Just click here to ask us about Being a Chaplain.